There are 15 events in the 2018 League with your best 8 to score. You do not need to be a member of the league to race in Central CXL events. All races have online entry which closes at 23:55 on the Tuesday prior to each race. Pre entry is cheaper and all entries are gridded irrespective of whether you are a league member. All races have unlimited entry on the day in all categories but there is no on the day gridding – unless you are a National Champion or similar. Being top 10 in another League will count for nothing with on the day requests and so please do not bother asking! You need to compete in at least 4 events to qualify for the league standings, but if you complete more than 8 your best 8 will be selected for your ranking and updated after each subsequent race. There is no club affiliation – every rider must register individually to be included in the league. There is no paper or postal affiliation and you cannot affiliate on the day, Registration is online and in advance only. Online race entry is cheaper for registered riders. Registered riders will be preferentially gridded in advance after online entries close. What if my club is based outside Central Region? It doesn’t matter where you live, any rider can take part in any event, and can also affiliate to the league. Entry fees are shown for online entry (OLE) and for entry on the day. All online entries are subject to a £1 booking fee per race. Online entry closes for all events at midnight on the Tuesday prior to each event. All riders will be required to buy a chip on the day for £5. This chip can be swapped for a new one free of charge at any future race in 2018 season or you will need to pay £5 at your next race. Race day timetable will be subject to weather and local conditions and the commissaries will have the final say. The points system for the league is based on category. For veterans who elect to race in the senior 1-hour race, you will all be scored as seniors and no category points will be awarded. To score category points, you need to race in that category. At the end of the season, if there is a tie in an award position, a countback system will determine the placing order – the most recent race in which the riders competed together will determine the order. Pre gridding will apply to all those who have entered online and will favour CXL members. Online entry will close at 23:55 on Tuesday prior to race day for all CXL events. This means that if you are not a member of the CXL or did not enter online and in advance, you will be positioned at the back of the pre gridded riders. There will, of course, be an element of discretion for riders of demonstrable national ranking who will be accommodated in a position on the grid appropriate to their level. My wife and I are headed to England for our 25th wedding anniversary. 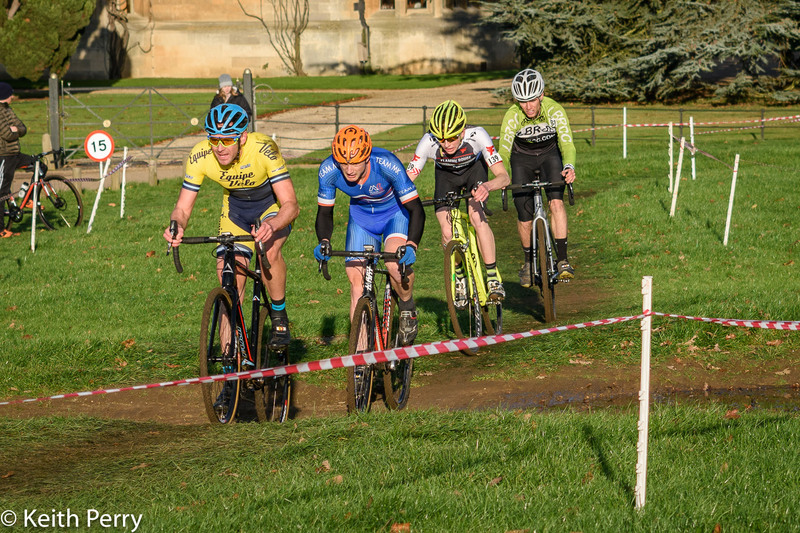 It looks like there is a CycloCross Race Saturday the 6th of October in Buckinghamshire. Hopefully I can get a loaner CycloCross bike for the event. I can bring my own pedals, helmet and kit. Also I’m ~6’3” ~86kg and 60+ as of 05/01/1958. Any ideas as how this might be able to happen ? Thanks for your message. We have no loan bike facilities as we are just a league admin team offering racing to riders with their own bikes. Best plan would be to join the Facebook group and post in there. Some kind soul may oblige. Good luck!